Inversion Tables are the best equipment to deal with back pain. It is used in a way to hand upside down which in turn results staying in anti-gravity. This provides inversion therapy that is very well helpful in relieving back and muscle pains. It comes in many varieties and it can foldable and extended whenever required. 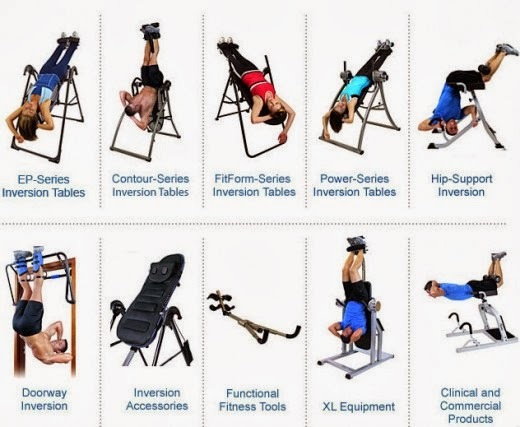 What are the exercises done with inversion table? Inversion therapy helps in boosting all the major joints in the body. The ligaments and the tendons in the body will be stretched and strengthen by handing as it opens up the joints, which cannot be provided by any other equipment. As the spine is stretched, it also relaxes the neck and shoulder muscles that help in relieving the sprain on the upper body around the neck region. This is very effective for the people who work in the systems since they are hooked with computer all the day. The inversion therapy also provides good stretching for the muscles in the hips, back and cramps. It is best for the people who feel difficult in touching their toes, as it helps in building the muscles stronger. It also gains flexibility and relaxation. 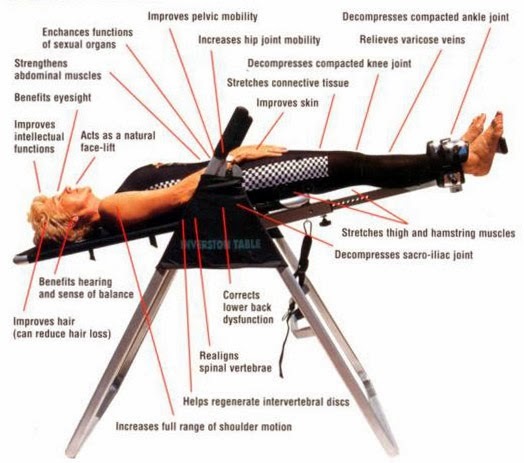 Swelling relief is another reason for using inversion table as it provides a better circulation of blood resulting in reducing the inflammation. In order to reduce swelling using a bit of ice and inverting is really the helpful in healing faster. Inversion therapy not only helps in back relief, but also in providing better posture and poise to the back. Hanging upside down will stretch out the vertebrae to place it back to the original position. It also benefits the other joints as well allowing greater healing with blood circulation. The lower body is highly benefited because of the blood circulation. Inversion therapy is not always successful for all kind of people. It is strongly suggested to consult a physician before using it. It may be harmful for the people with high blood pressure and pregnant ladies need to avoid it highly.